Such a weird pairing, but it works rather well. 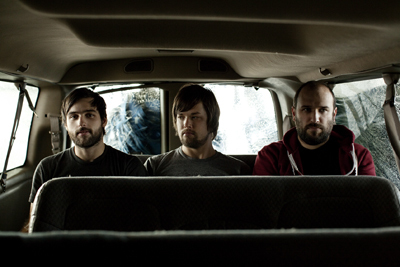 David Bazan has long been one of my faves, from the days of Pedro the Lion to his recent work under his real name. His new album, Strange Negotiation, comes out on Barsuk on May 24th. Judging from this new track, it seems to continue the introspective, melancholy indie rock he does so well. Listen to “Wolves at the Door” here. I did an interview with David Bazan recently for the Village Voice, during which we got to chat about breaking up with God and fans buying vans. Read the whole thing here.